Playing around with an art journal drawing and photoshop, effects can be quickly added, enhancing the overall look. This portrait of Violet, a green eyed girl, has a grainy filter applied that adds a cool texture. 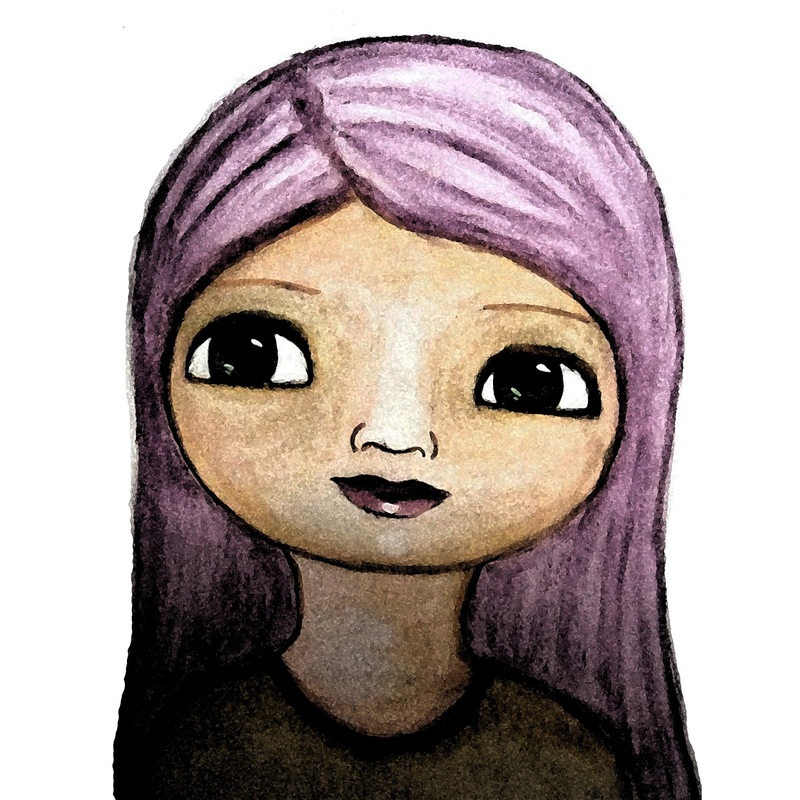 And here a funky poster effect is applied, adding dark outlines that make the image pop. There are many more preset ready-to-go effects in the photoshop filter gallery, and each preset has variations within. Endless modifications are possible. 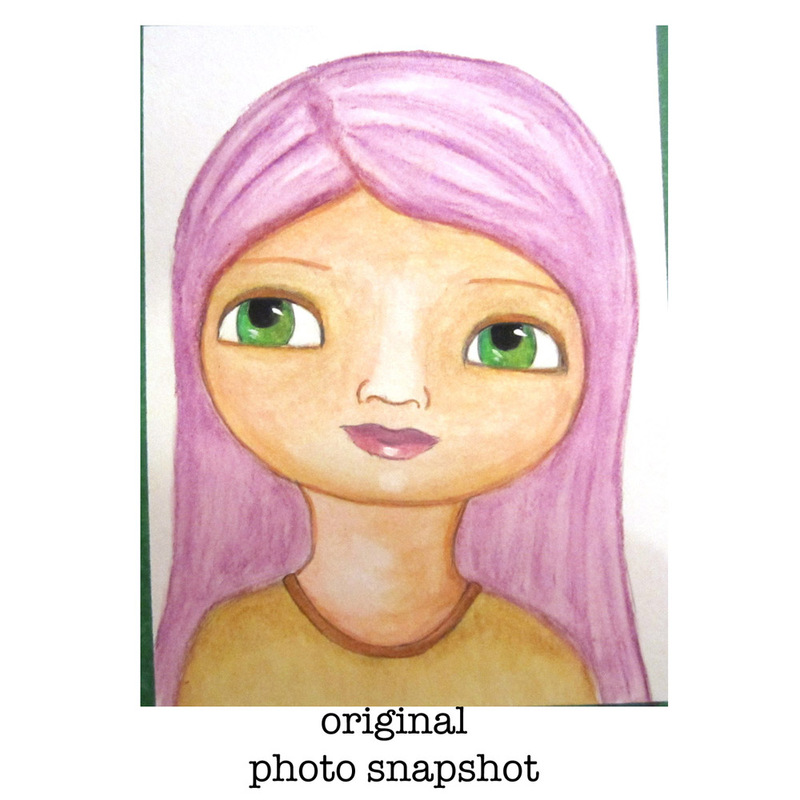 There are several filters that have darkening effects that change the image completely. While the best way to copy an original for printing or editing is with a good scanner, not everyone has a scanner so I decided to see what could be done with an imperfect photo. 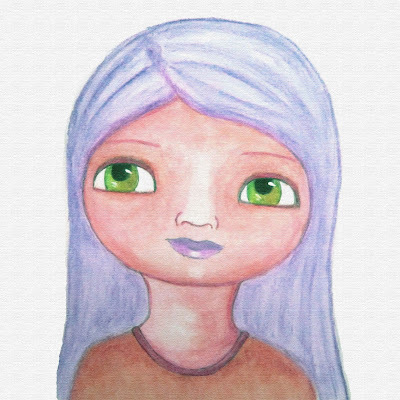 All of the effects here were created from this camera snapshot of the original watercolor painting and, with the exception of the color altered version, using only the preset photoshop filters. 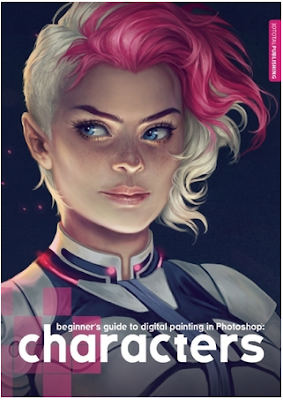 No matter your skill level, the Beginners Guide to Digital Painting in Photoshop: Characters is full of tips, tricks and learning focused on fully creating characters in photoshop. the very accessible Creating Characters with Personality is a masterclass excellently taught by Tom Bancroft. 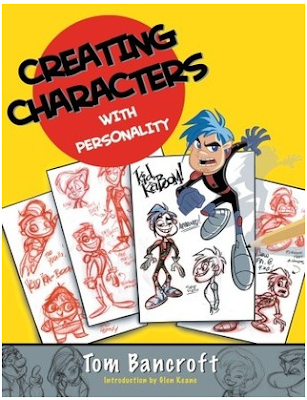 It has everything you need to know to create a distinctive character. Pick up a pencil or grab your mouse. Either way, have fun!